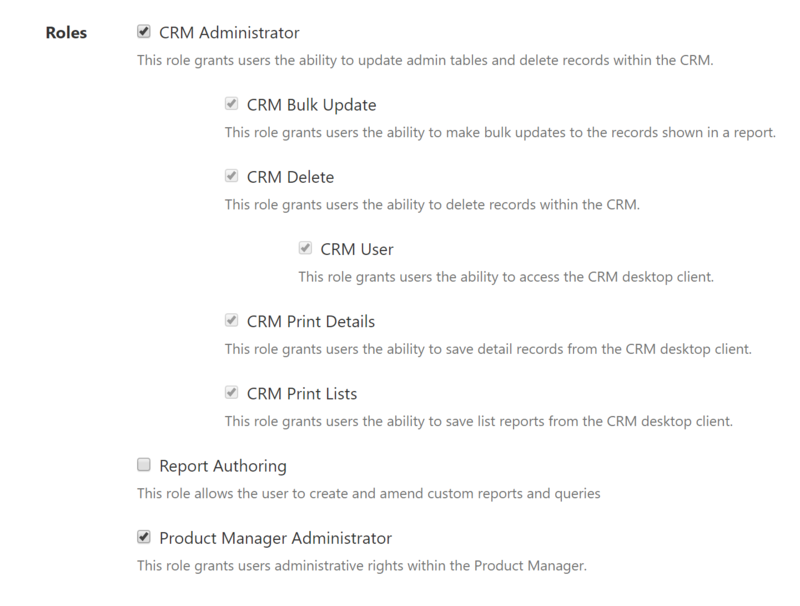 This article outlines how to amend existing user's permissions within the CRM. Within the CRM users can have different access & permissions depending on their role within your business. Only Prospect 365 Admin users of the CRM can manage these user permissions. Once within the Users section click on the User that you wish to amend their CRM permissions for. CRM Bulk UpdateAllows the user to make bulk updates to the records shown in a report.